- CHAMPAGNE ROSÉ ACCORD: Champagne rosé takes pride of place among the top notes. Like a giggle, pink bubbles announce the festive, carefree tone of the fragrance. Fresh and very fruity. - PEACH FLOWER ACCORD: At the heart of 212 VIP ROSÉ we find peach blossom. These flowers, with their velvety fruit, add delicacy and tenderness to the fragrance. The perfect embodiment of femininity. - QUEEN WOOD ACCORD: Finally, and as the key base note, we have Queen Wood. Queen Wood is an addictive, elegant but subtle woody chord that provides the fragrance with a large dose of sensuality. With a fresh, carefree air, 212 VIP ROSÉ injects even more seduction, more glamour, more emotion and more party into the 212 VIP universe. 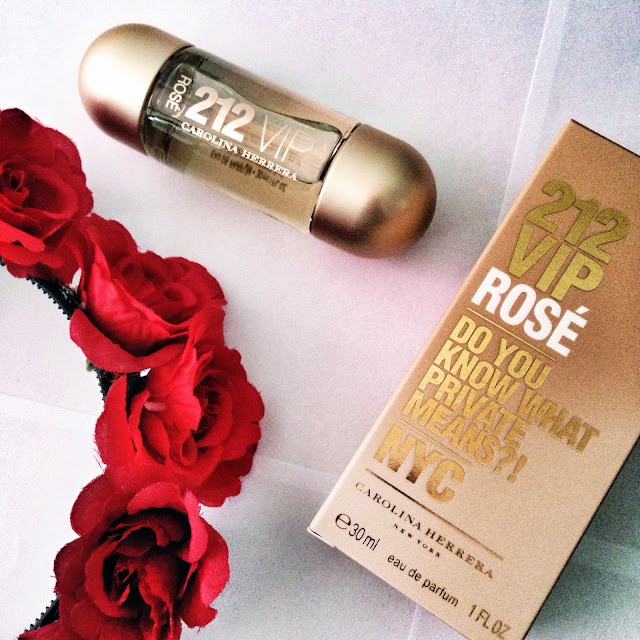 212 VIP ROSÉ comes in 80ml EDP (PHP 5,700), 50ml EDP (PHP4,400) and 30ml (PHP 3,250) sizes. 212 VIP ROSÉ will be available in select department stores beginning June 2014, distributed by Prestige Brands Philippines, Inc.